The Buffalo Field Campaign has seasonal openings for field volunteers. We have opportunities for every season, but are in great need of folks during the Winter when the buffalo migrate to lower elevation in search of forage, and especially the Spring months when the mothers venture to their traditional calving grounds outside the Park boundaries. 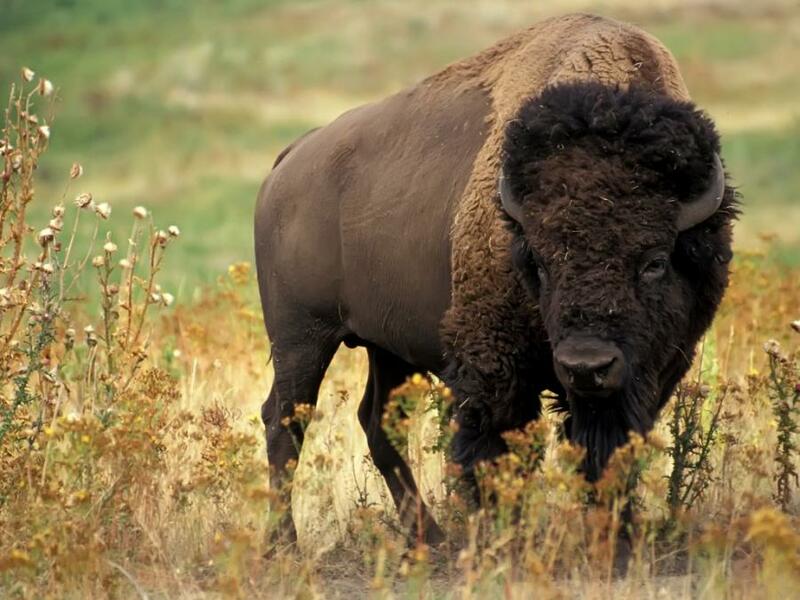 Any buffalo within Montana’s borders is in danger of being shot on sight, hazed, or captured and shipped to the slaughterhouse. All volunteers are provided room, board, and meals. We respect vegan and vegetarian diets. We are located in a warm log cabin by beautiful Hebgen Lake, just a few miles outside of West Yellowstone, Montana. Please contact us before you make your plans to volunteer. (Directions to Camp- West Yellowstone) When you arrive, you will be greeted by our volunteer coordinator who will help get you settled in. There will be a orientation and training period to familiarize you with camp and allow us to assess your abilities and where your skills can be used the most effectively to help save the buffalo. There are many jobs to choose from… patrols, cabin projects, educational projects, we have a long list. Patrols are either done from cars or on skis or showshoes. If you do not know how to ski or snowshoe, do not fret, we will teach you. Read more here. Perhaps I’ll see you out there. Prof. Cassuto, I’m am trying to be a lawyer and pay off my loans. Please stop posting things that make me seriously consider taking off for Montana next week.